THE SKINNY: So I quickly decided that paper masks gross me out. Applying this thing is like laying a wet paper towel on your face. And then leaving it there for 15 minutes. While it tries to peel off and slide around. It was in no way soothing or relaxing. It might have done something nice for my skin, but I was too disgusted to notice. No more paper masks for me. I will stick to mud or peel-offs. 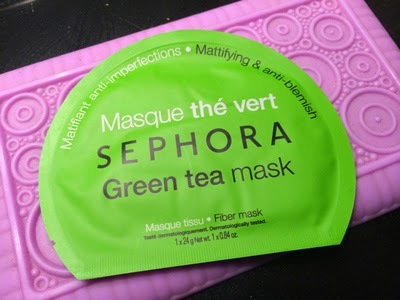 CHECK IT OUT: Sephora has a whole line of individual paper masks in different formulas, including this one.